Many schools are looking for ways to improve student behavior and cut suspensions and expulsions as more focus is placed on student discipline practices. Oklahoma’s special education students who are minorities are being expelled, suspended or referred to police at rates of up to four times that of white students with disabilities. Hundreds of Oklahoma schools allow corporal punishment, and during one school year, more than 13,000 students received it. At dozens of schools, students with disabilities were given a disproportionate share of physical punishment. 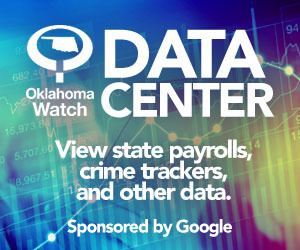 LIsten to Brad Gibson’s “Oklahoma Watch Report” on the issue of discipline of special education students, including interviews with parents. Although the tracking of discipline at schools has increased in recent years, many disciplinary actions are not recorded.